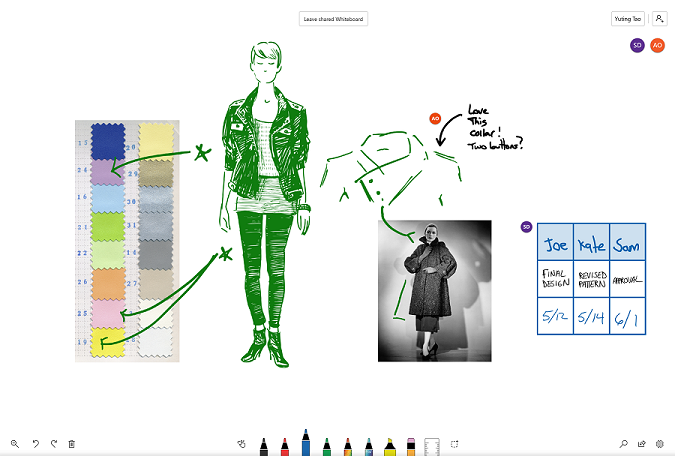 A new Microsoft Whiteboard app was released on July 12, 2018. The existing Whiteboard app that comes installed on Surface Hub and is pinned to the Welcome screen has been renamed Microsoft Whiteboard 2016. Microsoft Whiteboard 2016 will be automatically upgraded by May 21, 2019, and the collaboration service for the legacy app will stop functioning after June 7, 2019. For more details, see Enable Microsoft Whiteboard on Surface Hub. The Microsoft Whiteboard app includes the capability for two Surface Hubs to collaborate in real time on the same board. By ensuring that your organization meets the prerequisites, users can then ink, collaborate, and ideate together. Collaborative sessions can only take place between users within the same tenant, so users outside of your organization won’t be able to join even if they have a Surface Hub. In the Whiteboard app, tap the Sign in button. Sign in with your organization ID. Tap the Invite button next to your name at the top of the app. Tap Start session. 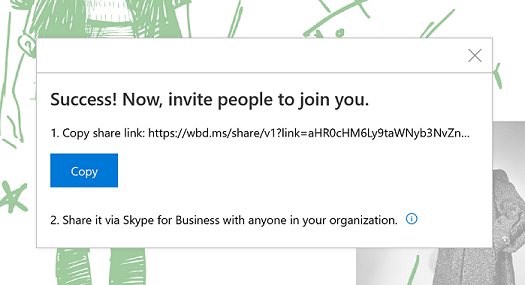 Whiteboard will generate a link that you can share. When the other Surface Hub receives the link, the recipient can tap on the link, sign in to Whiteboard, and then begin collaborating. You can copy and paste other content, use smart ink features like Ink to Shape, and co-author together. After you’re done, you can export a copy of the Whiteboard collaboration for yourself through the Share charm and leave the board for others to continue working. When you start a collaboration session, Whiteboard creates a folder named Whiteboard App Data in your OneDrive for Business to store your shared whiteboards. After some collaboration sessions, this folder may continue to sync or process changes indefinitely. You can fix this by choosing to not sync the Whiteboard App Data folder to your device. Disabling sync for this folder won't limit your ability to use Whiteboard for collaboration sessions.